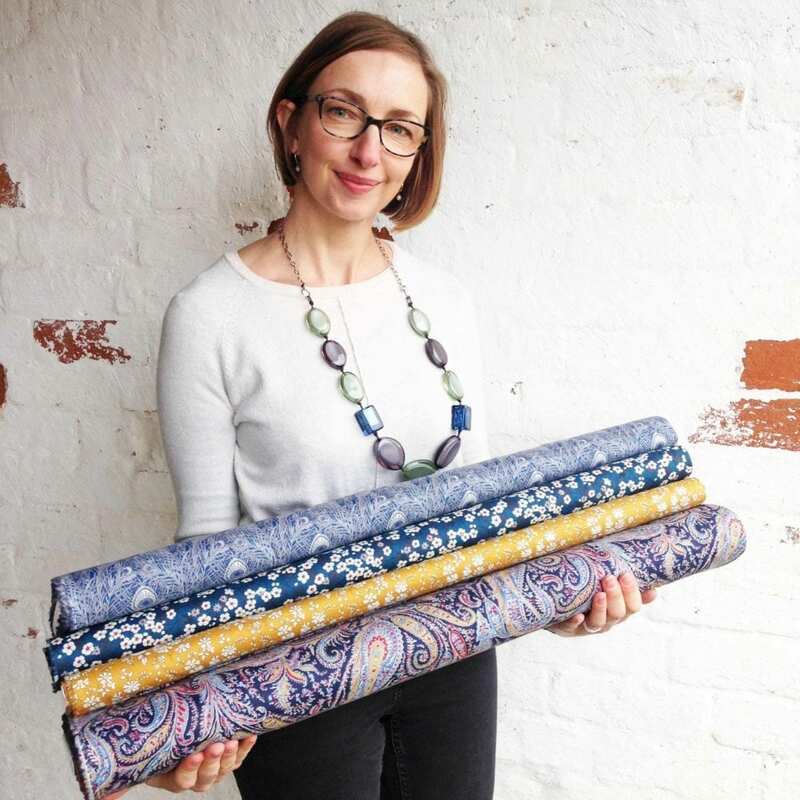 To celebrate International Women’s Day, the lovely, creative and hardworking ladies of Alice Caroline have put together their very own fat quarter bundle. They are going to keep a close eye as to which pack is the most popular. It’s a bit of fun but also brings out the super competitive side of some members of the team (I’m not mentioning any names here). You can see the selections below and their reasons for choosing their bundle. 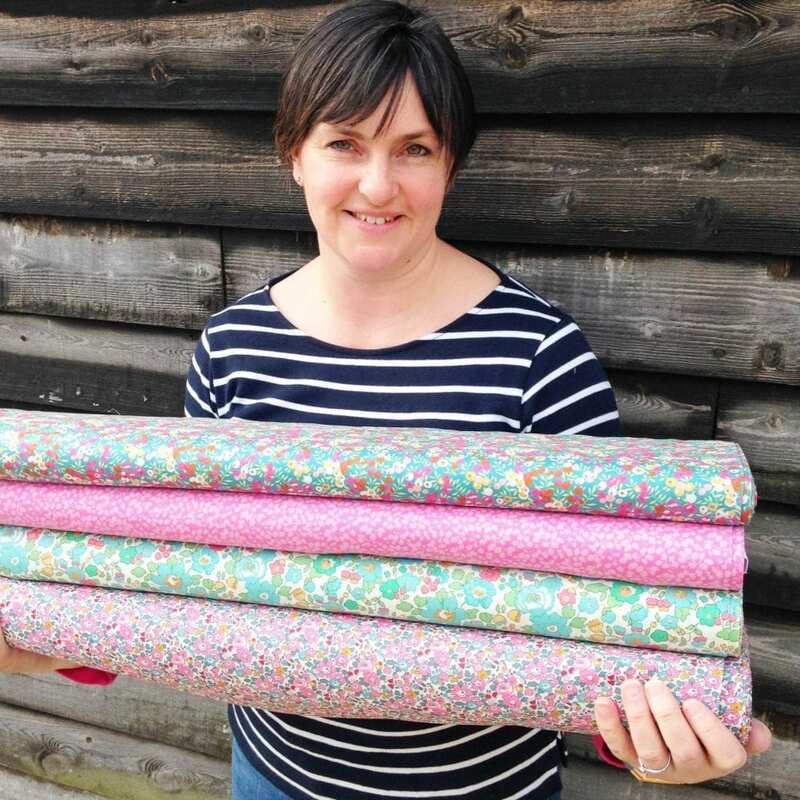 Sara said “Donna Leigh is one of my all time favourite fabrics. I chose this bundle as I really love the pink and green together and think they compliment each other beautifully.” You can buy Sara’s bundle here. Laura said “I love pastel mint and yellow together” #mintlife. You can buy Laura’s bundle here. 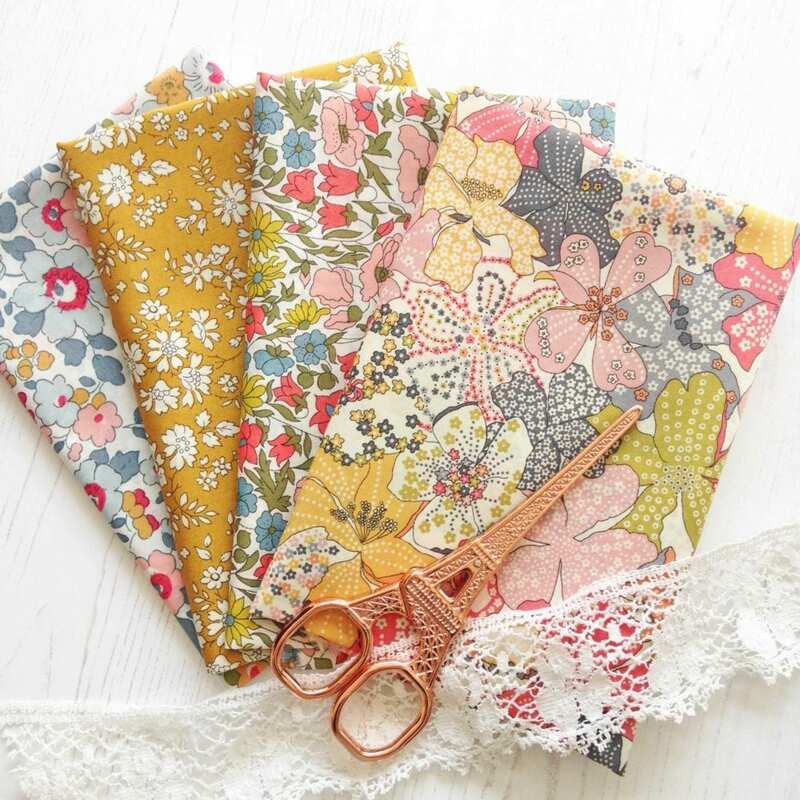 Julie said “As we are emerging out of winter in the UK I wanted to chose something fresh that felt quite spring like and was cheerful.” You can buy Julie’s bundle here. 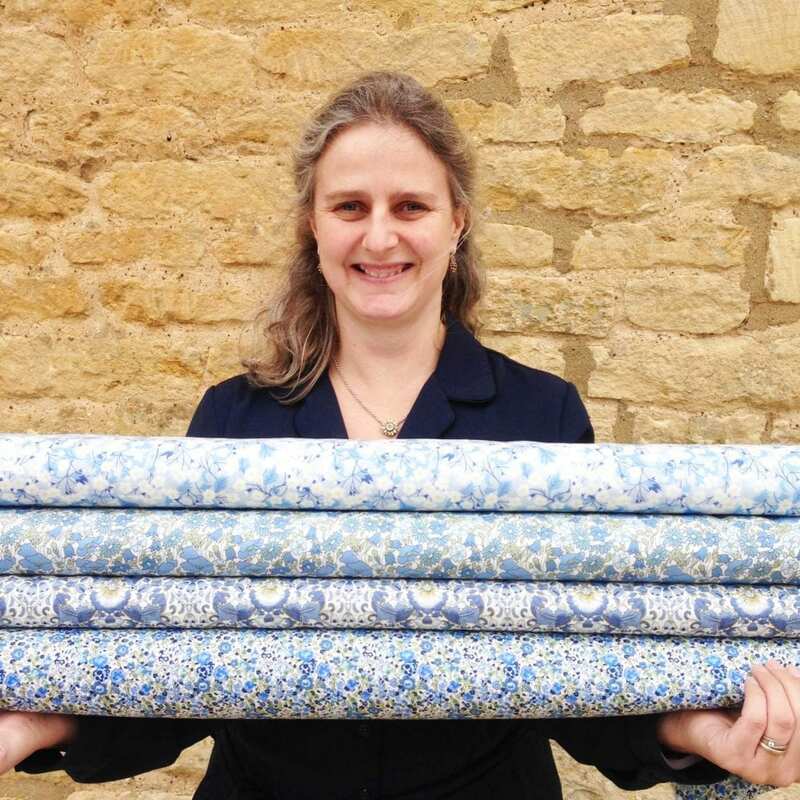 Caroline said “I found it really hard to make a decision when faced with so many gorgeous fabrics. I chose these because I love the soft pinks and greys together.” You can buy Caroline’s bundle here. 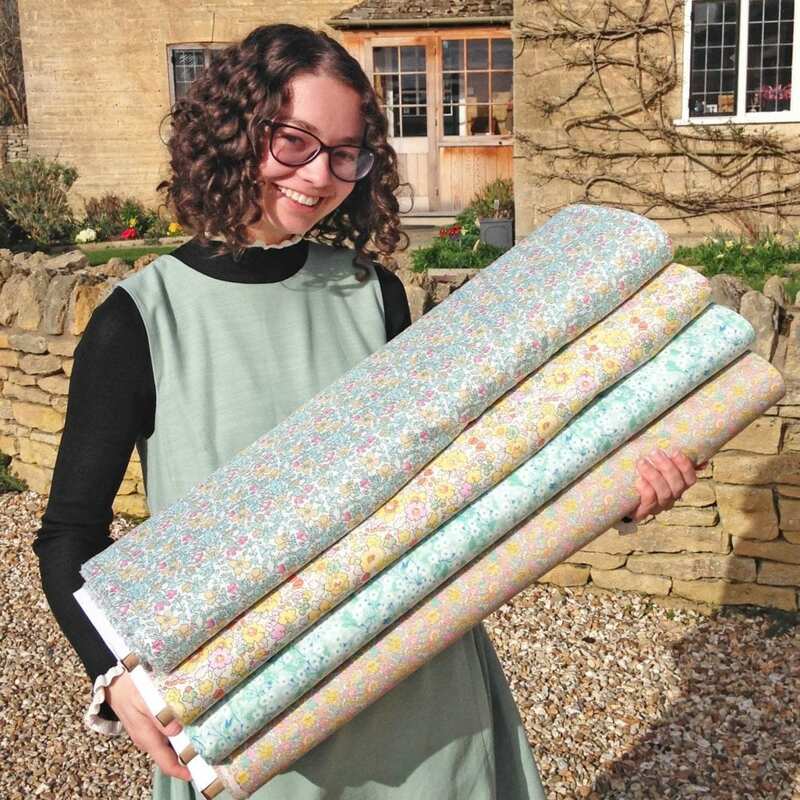 Claire said “I based my bundle around the Wiltshire Retro. 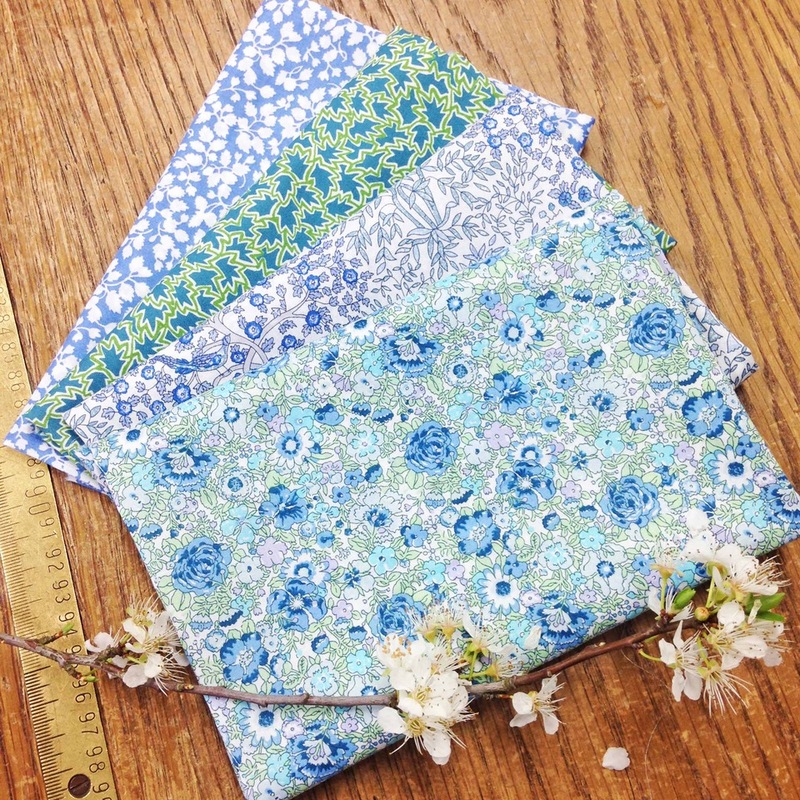 I love the colours and chose the other fabrics to compliment.” You can buy Claire’s bundle here. Anna’s chosen cooling blues. She said “I love blues. Liberty blues always look stunning together. 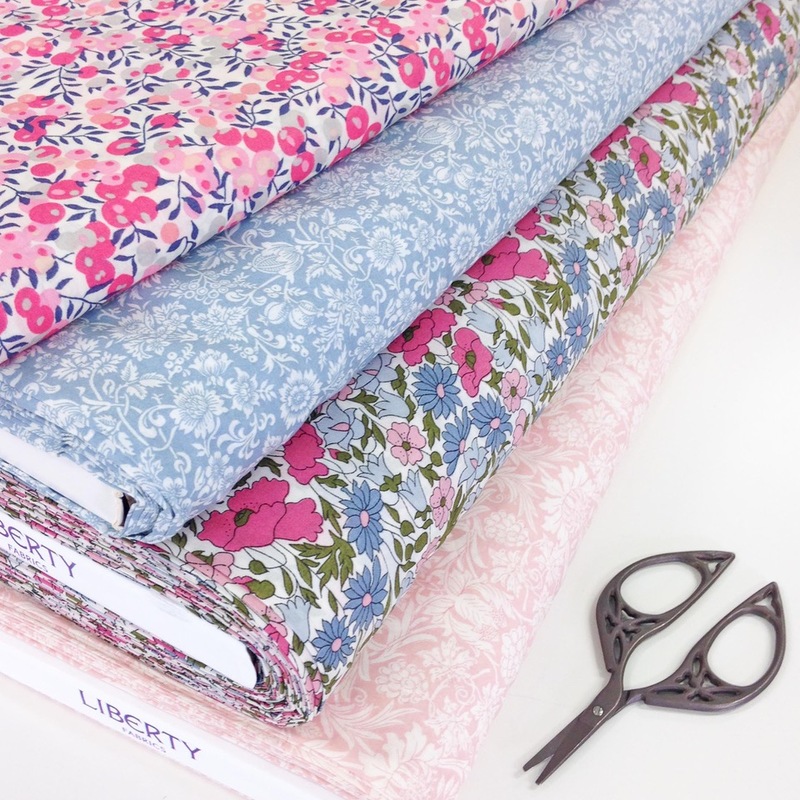 I have wanted to make a blue Liberty quilt for ages and never seem to have the time – perhaps this will encourage me.” You can buy Anna S’s bundle here. Hils said “I chose this pack because it’s both modern and stylish.” You can buy Hils’s bundle here. 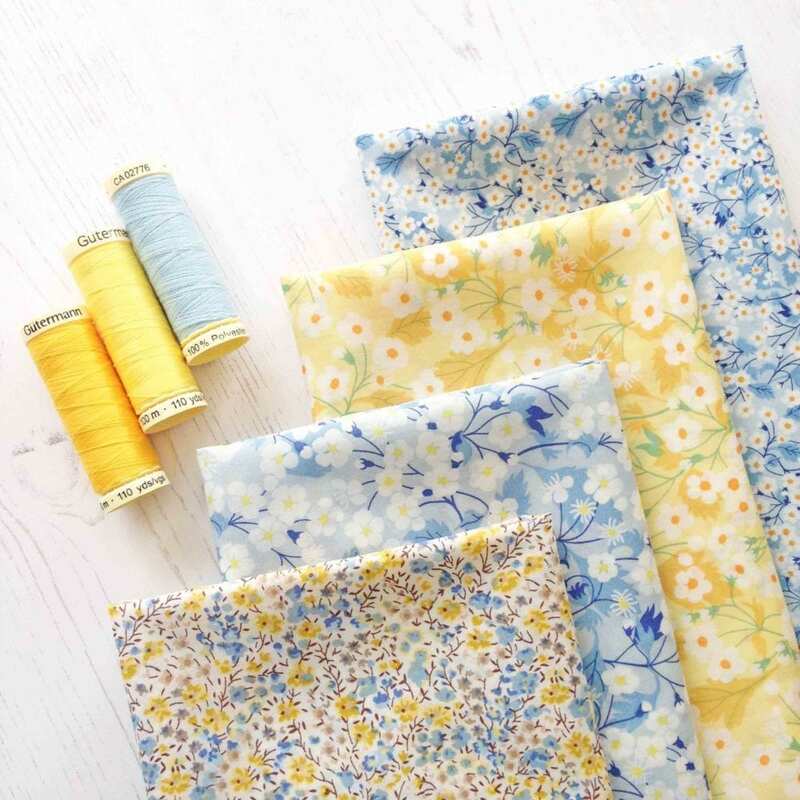 Sarah W said “With Easter on the horizon and signs of spring all around, I was inspired to use cheerful yellows and blues reflecting the colours of spring flowers.” You can buy Sarah’s bundle here. Anna JP said “My choice was inspired by the range of colours you find in denim jeans, which are my favourite item of clothing ever. 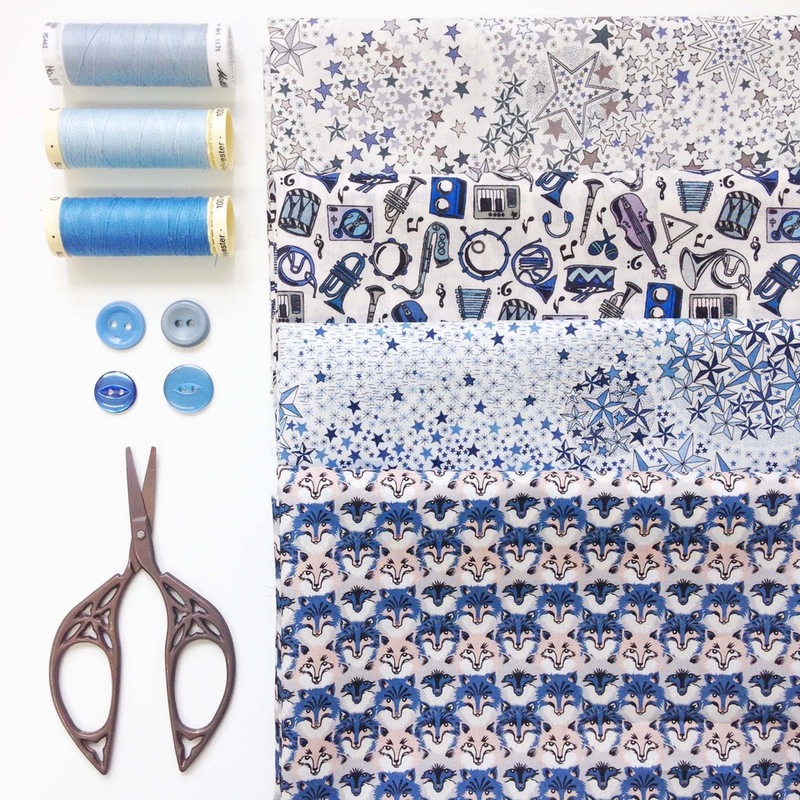 The fabrics in this pack showcase a range of soft and deep blues, mustard, and a tiny bit of red.” You can buy Anna JP’s bundle here. Pauline said “I am normally a pink person but always find myself drawn to designs that would make a great quilt for a little boy. These designs are real conversation starters.” You can buy Pauline’s bundle here. I’ve thrown down the gauntlet and the prize for the winner is cake. High stakes at Alice Caroline. 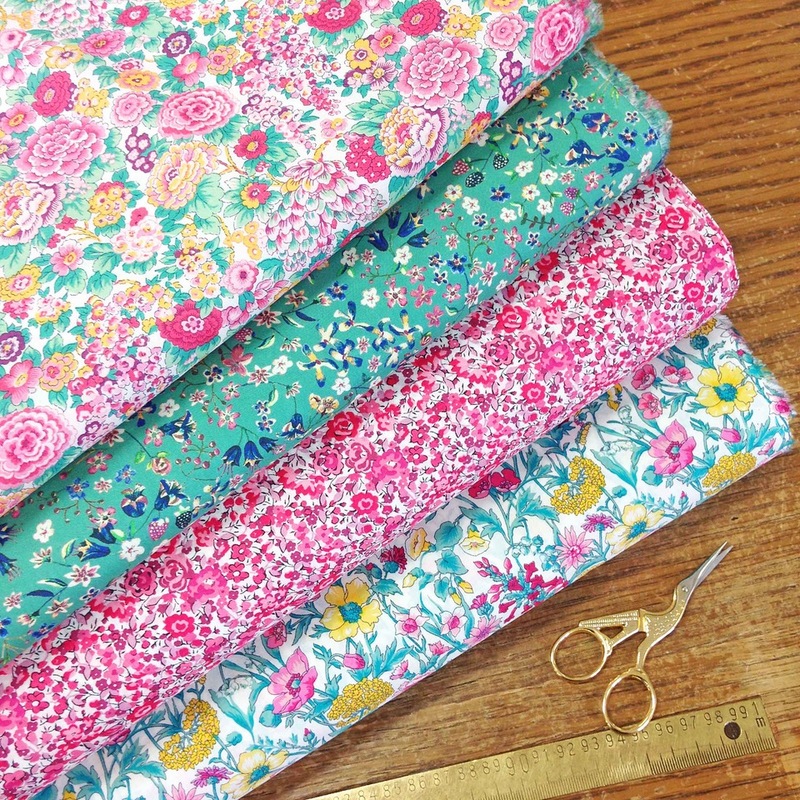 I hope these bundles inspire you to a new sewing project. Let us know on social media which is your favourite bundle.